Happy Wednesday! 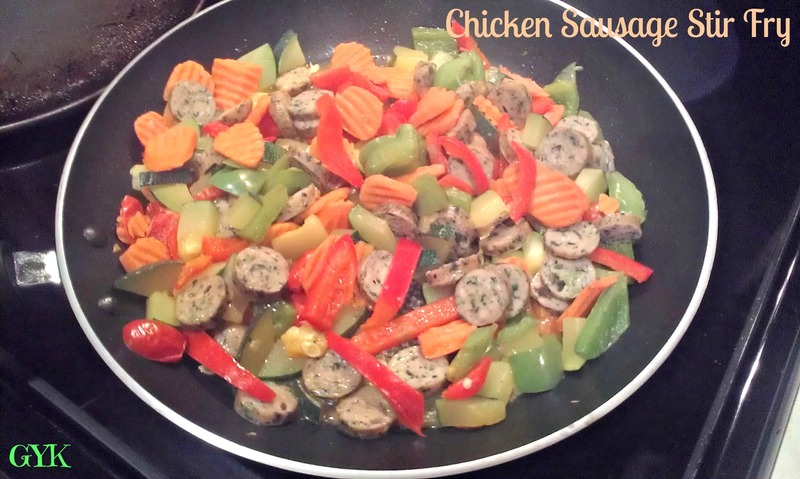 I’m excited to share my weekly eats with you via What I Ate Wednesday at Peas and Crayons! But first, cute puppy alert! Meet Murphy. He’s a year and a half now and just brightens any less than stellar day I have. I love coming home to him. He’s always so excited to see us. It’s hard to leave that face in the morning, let me tell you. 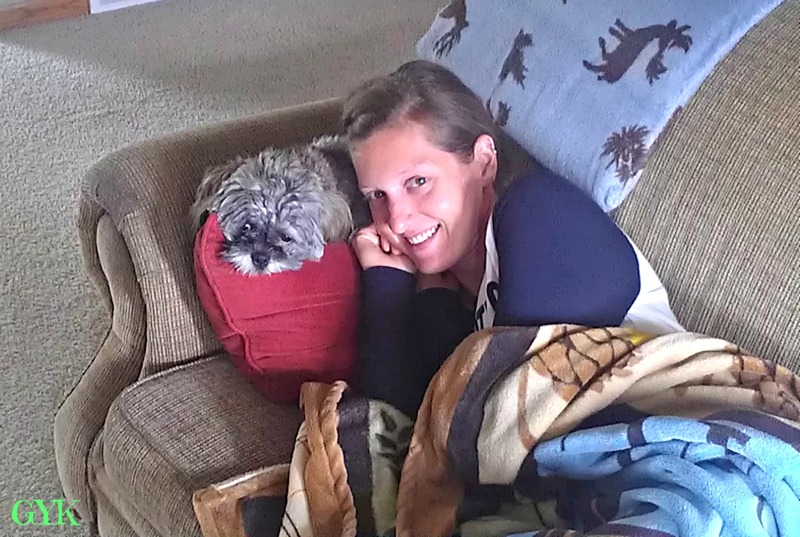 We also like to cuddle. Errr, I like to lay on him. And we may or may not treat him like our child. I think my hubby’s trying to tell me something…. Yep, those boys are all mine. And no, you can’t steal either one. On to the eats for this week. I’m definitely a lover of pumpkin, however, I’m not a fan of the pumpkin spiced latte. I tried one a few years ago from Starbucks and was really disappointed with the taste. Blah. 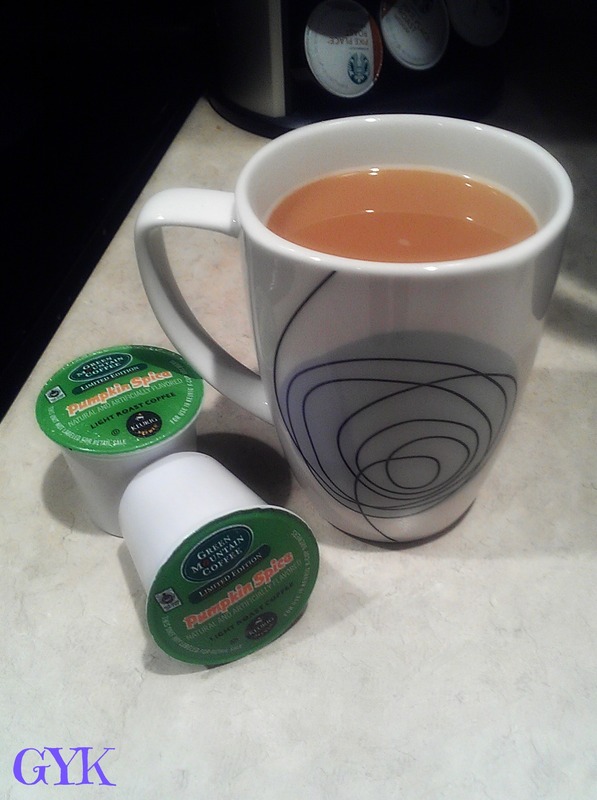 I tried it mainly because I love pumpkin spice coffee k-cups from Green Mountain. This weekend I busted out PSC (can I make that an acronym?) and it was just as delicious as I remember. I bought a big box off Amazon last year because I knew it would be gone from the store before I knew it. I’m glad I did! 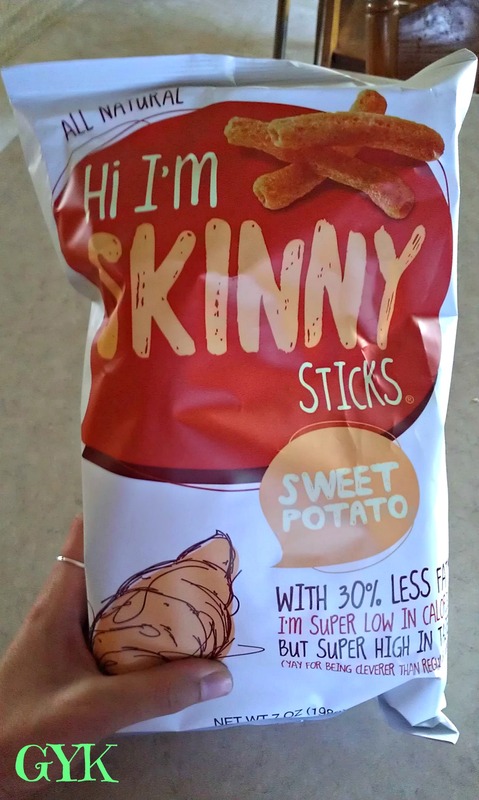 One of my favorite snacks lately has been Hi I’m Skinny Sticks in the sweet potato variety. They are crunchy, sweet, and full of cinnamon flavor. My hubby’s favorite kind is the Multigrain Sweet Onion. There’s a lot more to them than some of those “veggie” sticks I’ve seen at the grocery store. When I lived in Stevens Point, my grad school town, one of my favorite restaurants was the Wooden Chair. 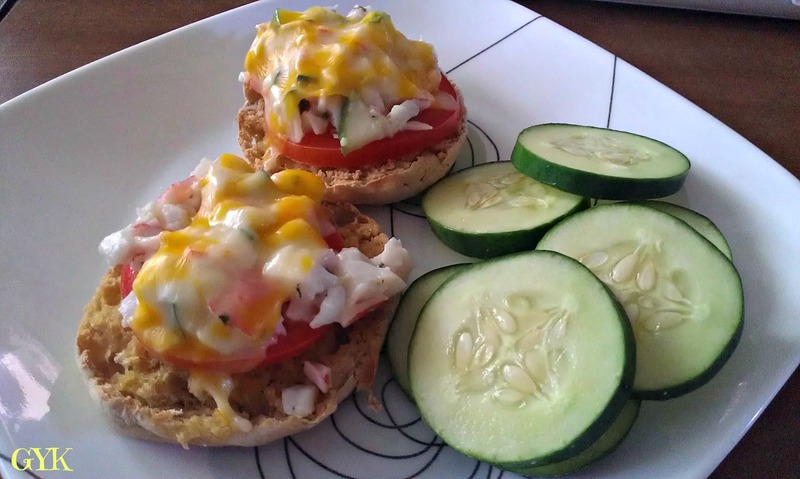 They make a delicious opened face crab sandwich called the “Crabby Guy” on an english muffin. I’ve recreated my own version which I’ve deemed “crabby patties“. It’s one of those meals I forget about for a while and then make all the time once I remember how good it is! Some dinners don’t always look the prettiest, but are very tasty. I picked up fresh produce at the farmer’s market this weekend, including cucumbers and red peppers. We also received veggies from family/friends. So, since I’m getting better at actually eating all the produce in my fridge, I threw together a chicken sausage stir fry for dinner. 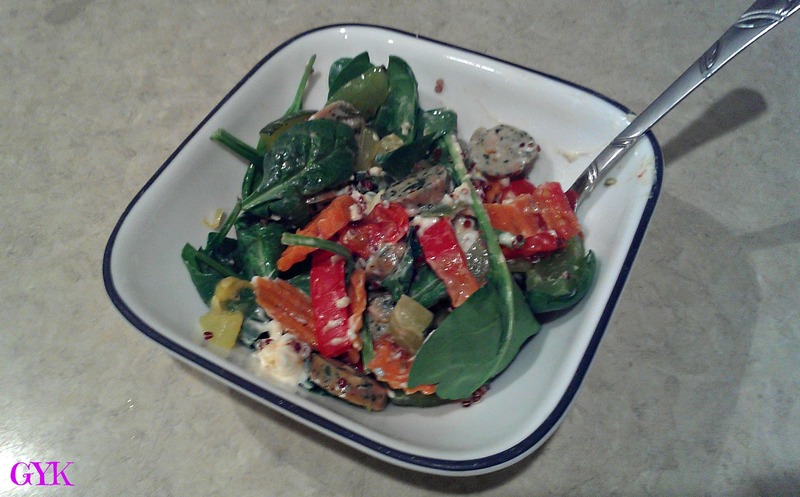 It included carrots, red and green pepper, zucchini, cherry tomatoes, and spinach artichoke chicken sausages. To plate it, I laid down a bed of spinach and red quinoa and topped it with the chicken stir fry. I mixed in a wedge of Laughing Cow White Cheddar. Omg guys, it’s sooo good. Great way to use up my veggies! Sad news…I’m getting to the end of my pumpkin butter I bought in Door County. 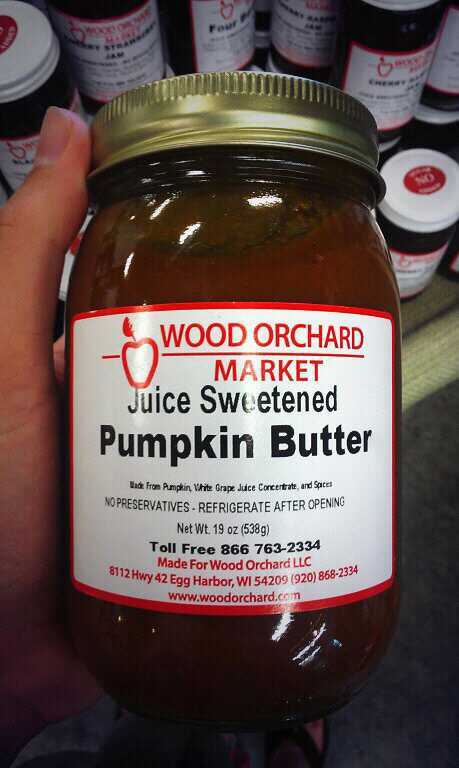 I need to start checking pinterest for some DIY pumpkin butter recipes. Hopefully it will be as good as the kind I bought! 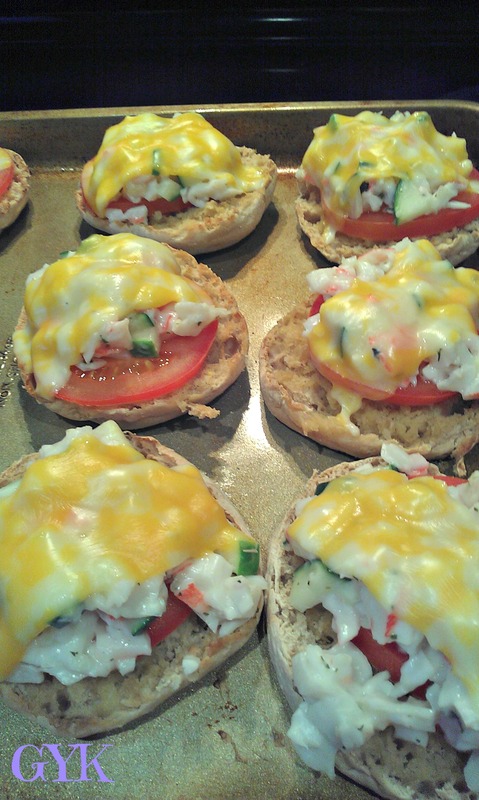 What’s the best pinterest recipe you’ve discovered? 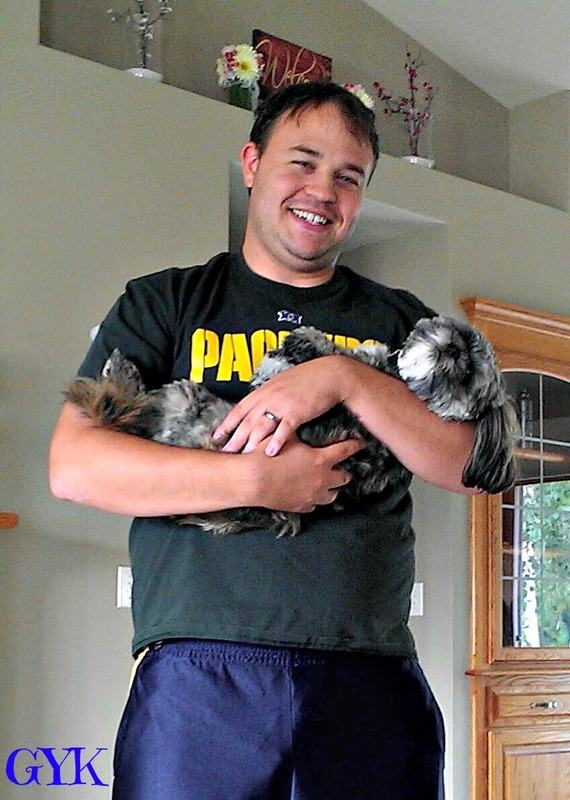 Do you have a hard time leaving your pet during the day?